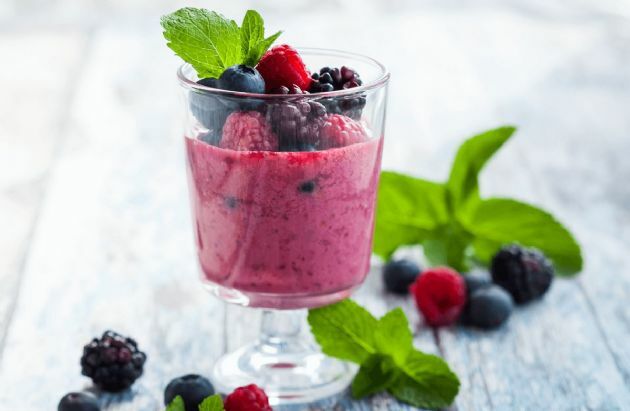 A quick and delicious smoothie to satisfy that sweet tooth in a healthy way! A quick and delicious smoothie to satisfy that sweet tooth in a healthy way! Place all ingredients in blender and process to desired consistency. Makes 3 servings approx 3/4 cup each.